Ensure Baby Protection with Belts! Parenting is the toughest job in the world. Taking care of babies takes all the energy and you have to be very smart for that, too. Parents, especially mothers, have to be multi-tasking as they have to perform more than one job at once. What is more, the job gets tougher when you are a parent of toddlers. However, you can always make parenting a little bit easier by taking help from different baby care accessories such as belts. The kid’s belts in Pakistan are of different kinds and available at varying prices. Visit Affordable.pk to have a look at the accessories that can make your parenting task easy and find the best kid’s belts prices. Apart from kid’s leather belts, there are some protection belts available at Affordable.pk. Below are some recently uploaded to the kid’s belts section; Have a look! Head Protecting Belt: It is also known as the head protection protector pad wings/learning walking stick harness/assistant aid safety helmet. This belt is well designed for babies who are at the stage of learning to walk. It helps them in avoiding injuries and risk of tumbling that is likely to occur during the growth process. It is the best choice for moms due to its light weight and ergonomic design. 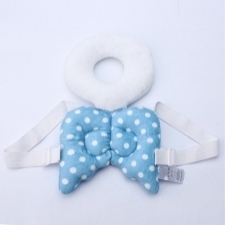 What is more, it is burden-free and there are no tightening pressures over baby’s head that was common in the traditional styles. This makes the belt very easy for the baby to adapt to. 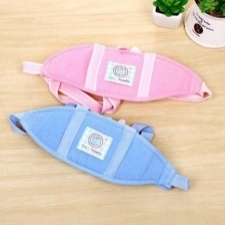 Baby Safe Toddler Walking Learning: This belt is made up of breathable material with a soft sponge that is very comfortable and enables a baby to take small walk safely and worry-free. Learning to walk is a difficult process for every child, and this becomes easy with the use of this belt. 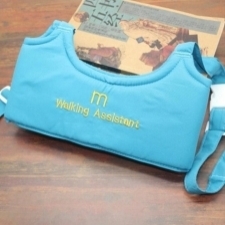 Every step is taken care of when the baby is protected with the toddler walking learning belt. However, there are some safety tips you should keep in mind for washing. Do not wash it in a washing machine and always use warm water. Also, prefer hand drying upon machine drying for prolong usage. Walking Belt Kid Keeper: This belt is perfect to help kids walk with balance and freedom. The moonwalk design feature helps a child to walk with comfort and safety. However, always make sure that the plastic locks are tightened and keep your child away from flammable substances when he is wearing it.